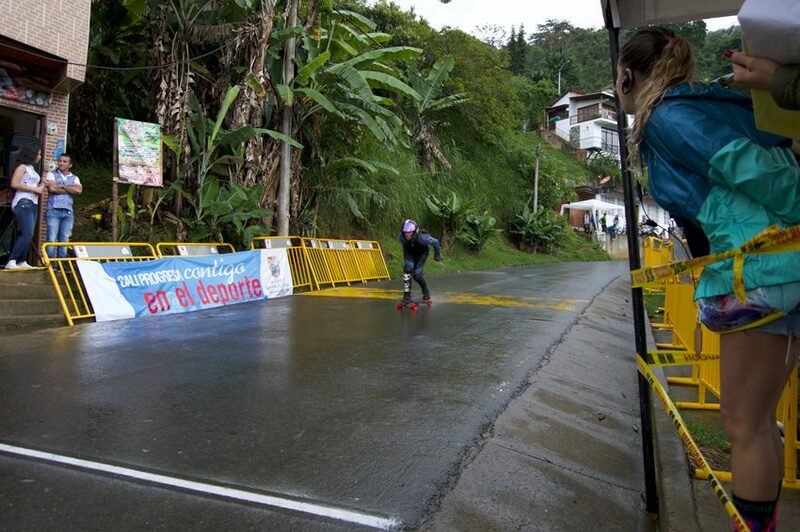 Even the heavy rain all over the track didn’t stop the race at La Leonera WQS. The last event of the IDF South American Championship had wet finals for all the classes but a fair competition between the riders gave a great competition till the last run. Yes, it was heavy rain. The morning made possible to run on dry asphalt the 64 and 32 Open brackets after two warmup. 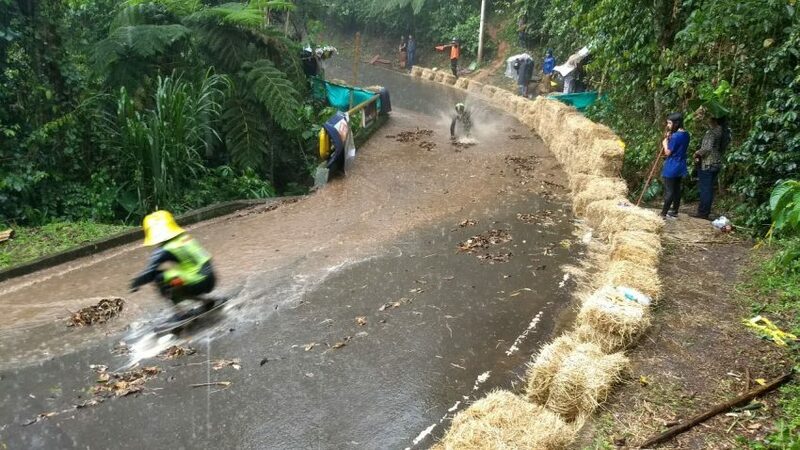 During the Open quarter finals after lunch, a heavy rain started to fall and we had to stop the race for few minutes in order to let the riders change the wheels for the rain. The only european representing Germany Sebastian Hertler didn’t made the pass to the semi finals behind Mariano Gentili and Alvaro Garcia Alcazar that advanced till the finals. The Brazilian riders didn’t disappointed the expectations even in Junior and Women class: Thiago Lessa, Tiago Mohr and Douglas Silva get a place in the finals with Alvaro completing the bracket. Thiago Lessa gave his best even this weekend and he was the first to cross the finish line followed by the other two brazilians Tiago Mohr and Douglas Silva. For the Women class Luana Campos from Belo Horizonte won the finals, finishing the heat with a solid gap in front of the two Colombian Sirley Tabares Builes and Angie Duque. Bruno Vidal Vieira as well didn’t lose the chance to show his skills and he got a first place in front of the colombian Daniel Mejia and the equadorean Jeremy Israel Zambrano. 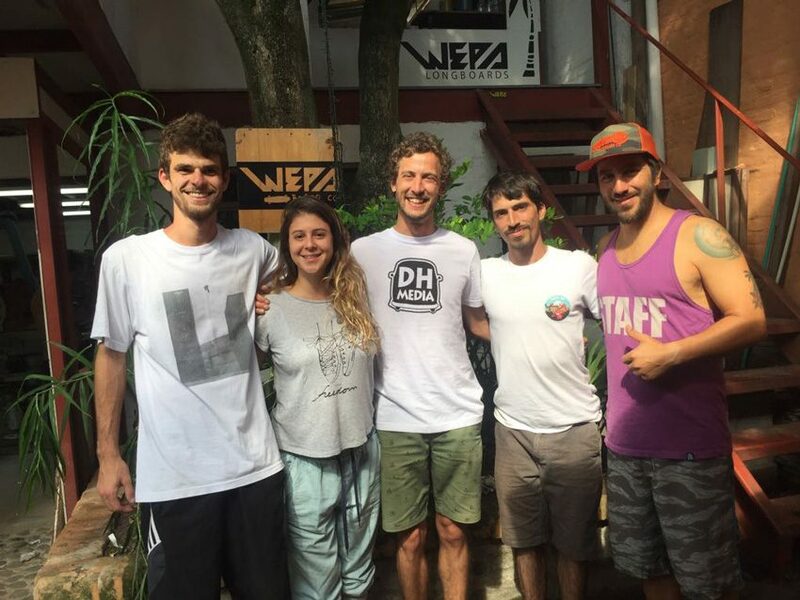 The Colombia got a represent on the first place of the podium in the Master class with Marco Vidales fom Bogotà, followed by the Wepa Company manager Teo Mejia from Cali and Carlos Sanchez. 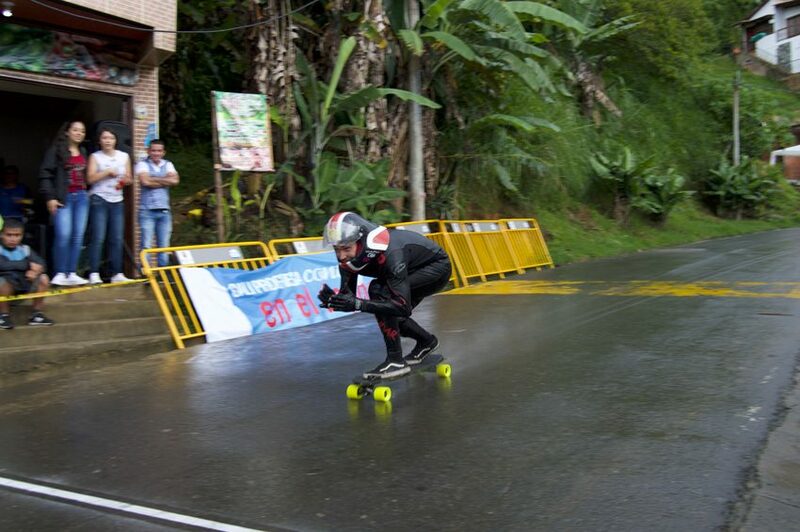 For the streetluge once again Ryan Farmer confirm his dominance on the race and added on his pocket the third victory in a row, followed by the Peruvian organizer of Yaku Raymi Luis Mogrovejo and Daniel Calle Mourin. This event was not only the finals of the South American Championship declaring the 2017 Champions, but it was as well a great chance to meet together all the organizers of the 2017 SouthAM Championship, analyzing the actual championship and looking for new opportunities. Constructive discussions happened with the promise between each other to enforcing the connections between all the nations in order to provide for 2018 a solid South American Championship.